📅 December 2014 December 18, 2018 by Bruno B. If you are looking for some out-of-the-box Christmas traditions, don’t look further. Christmas in Barcelona is all about the weird and the bizarre. Brace yourselves, poo is king here! Barcelona is a city bustling with things to do and see. And if there is a place on this planet proud of their own traditions is Catalonia. This region is buzzing with traditions all year-round such as the sardana dance and a personal favorite, the impressive human castles named castellers. Same happens during Christmas, when there are some strong and… weird Christmas traditions going on.Living in Barcelona, I had all the time in the world to look at details I started finding unusual things. I was amazed how it can be so scatological (here’s a word I thought I would never in this blog). 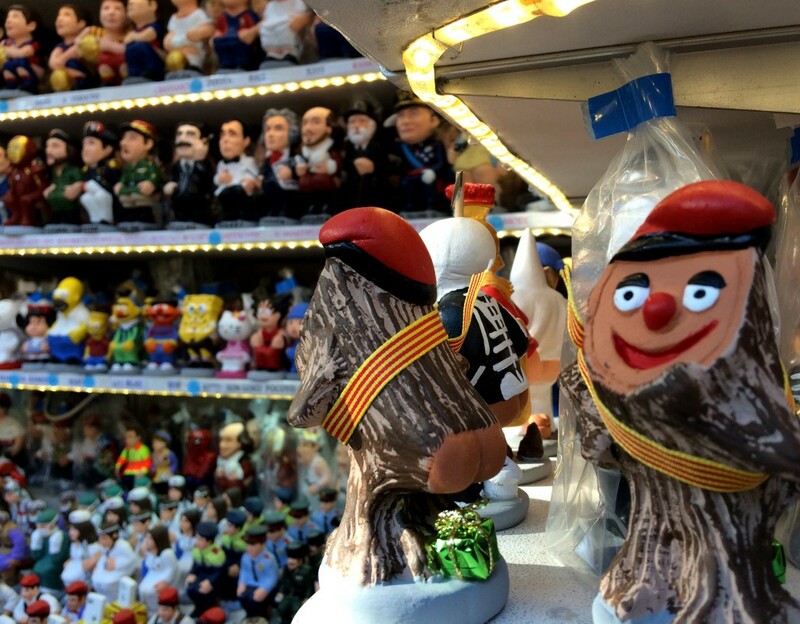 Yes, you’ve heard right, Catalan Christmas is also a celebration of poo. So let’s talk about poo! First of all, the question is WHY? Why this obsession of the Catalans with poo? Well, Catalans were always extremely nature-driven. The work of Gaudí is a celebration of nature in the first place. If you think about it, there is nothing more natural and healthy than a series of successful intestinal movements, right? Also, poop has been vastly used for fertilization of fields in agriculture which metaphorically suggests healthiness and life. Menja bé, caga fort i no tinguis por a la mort! Eat well, poop a lot and don’t be afraid of death! With poo so enrooted in Catalan culture, the celebration of feces and the glorification of a such a basic human necessity were only natural to be present in Christmas season in the whole Catalonia. It usually takes the form of two playful figures: the caga tió and the caganer. 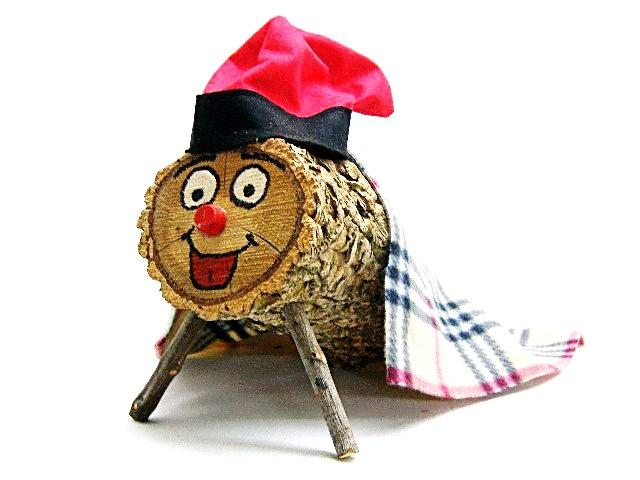 The Caga Tió or Tió de Nadal is a smiley little hollow wooden block, with two front sticks acting as legs and is the favourite christmassy tradition in Barcelona of children. The friendly caga tió arrives Catalan homes in the beginning of December, and children are supposed to take care of him every single day. This includes watering him, leaving small pieces of candy and even cover him with a blanket for the cold nights. Caga tió, caga torró, avellanes i mató, si no cagues bé, et daré un cop de bastó. Caga tió! Poop log, poop turrón, hazelnuts and cottage cheese, if you don’t poop well, I’ll hit you with a stick. Poop log! An adult supervises over the ritual and pulls out the “poop” from under the blanket which mainly consists of sweets and turrón (nougat). The better the little log had been taken care of, the more gifts and candy it will defecate. In the end, the remains of the ever-smiling Caga Tio may even be burned in the fireplace to keep the whole family warm. I’m not sure I understand the moral of this story but hey, I’m all about wtf traditions. All I know is that a whole variety of tios can be found virtually in any market or little shop in Barcelona these days, from the tiny ones from the size of your thumbnail until huge ones found in squares for public “stick beating”. Spending Christmas in Barcelona? Don’t wait more to book your bed! Another bizarre Christmas tradition is the Caganer: a figure depicting a man with a red hat pooping in the squatting position, that also can range from the tiny to the huge – the biggest caganer of the world was 6-meter high!. In any case, it leaves little to the imagination, I mean it is literally a dude pooping. And most of the times, a pile of feces is actually depicted on the figure. The best of all is caganers are usually put right in the middle of the Nativity scene as a sign of good luck. It was really unexpected to see one right next to the Three Kings! Caganer stall at Santa Lucia Fair. … and so many others! Even though they can perceived as vulgar and gross, caganers are mainly a symbol of humanity’s equality. The premise is there are no untouchables: everyone poops regardless of their power or social status. Caganers are most frequent in Barcelona during holiday season, specially in the Christmas markets held throughout the city. 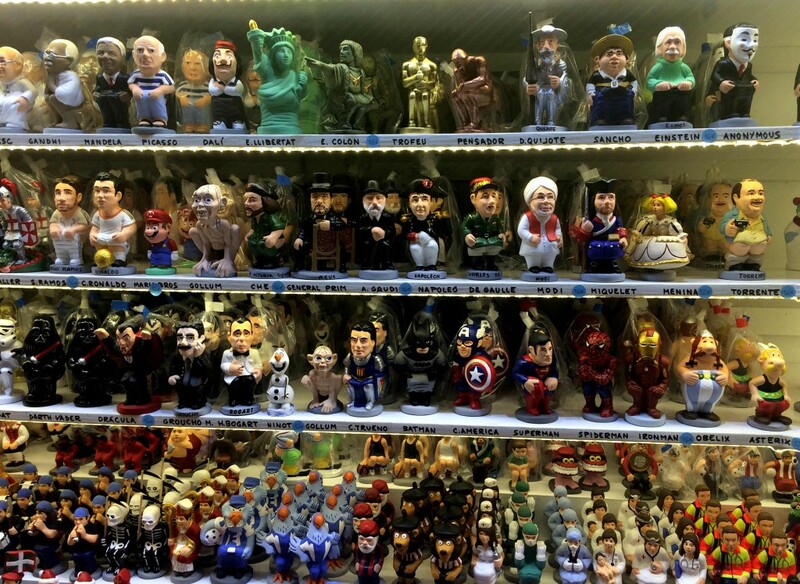 I have been a few times to Fira de Santa Lucia and the caganer stalls are definitely the busiest with a lot of people pointing, laughing and taking photos of these unique figures. Nevertheless, they can now be found all-year round and have become a classy touristic souvenir of Barcelona. You can also buy them online! Two scatological worlds merged: a caga tio/caganer. One thing is for sure: Christmas in Barcelona is not the regular Christmas we are all used to. 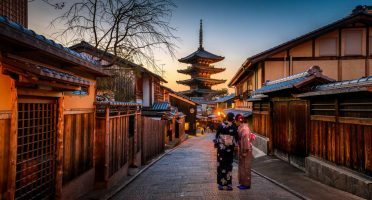 Far from the consumer-driven London or the opulent Christmas markets in Hamburg, it has got a more local feeling to it and it’s deeply tradition-oriented. 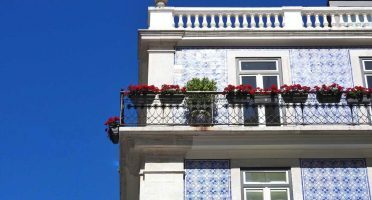 In Portugal, we have a saying that translated would be something like: First, we strange it, but after we embrace it. It was exactly what happened to me with caganers and caga tios in Barcelona. After an initial period full of WTF moments, I don’t get astonished by these unorthodox figurines anymore. I even thought of bringing one to my mother’s nativity scene, but that was probably too much. On the other hand, it would definitely add a dash of excitement to our Christmas though. Maybe next year. Still, writing all this made me want to go to the toilet. Be right back! Barcelona is one of the best connected cities in Europe. 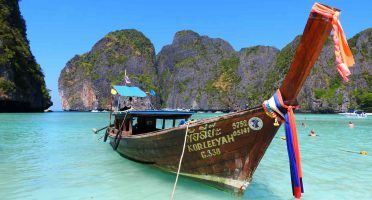 You can easily come by car from major cities like Madrid and Paris, by air from virtually any major european airport in Europe or even by ferry/cruise in the Mediterranean. I would skip La Rambla area completely as everything’s overpriced there. To live Barcelona more like a local, I’d go for Sant Antoni. El Poblenou is also great if you want to prioritise beach. To make things easier, I’ve already pre-selected a list of the best hotels in Barcelona. These only include rating of 8 or more, with wifi and centrally-located. Just pick your favorite! No, it’s not eating paella (southern/Valencian dish) nor drinking Sangria (you’ll probably end up drinking some weird mix hardly deserving of that name). The best piece of advice I can give is to just embrace the laid-back lifestyle of Barcelona. Do a picnic in Ciutadella Park. Have a drink watching the sunset in a viewpoint somewhere. Relax on the beach. Are there any bizarre Christmas traditions where you live? I would love to hear them! And by the way, Merry Christmas to you all, with a lot of healthy pooping! Went to the Christmas markets in Barcelona 3 years ago. Was taken aback at all the caganers. Trust me, they have one for any and every popular figure. Yes, they had the Pope, the Queen of England. Darth Vader, Big bird and, Micheal Jackson. I told my wife is was going to buy a nativity scene if I could one were they were all pooping! Needless to say I found it. Must have been over 30 characters all pooping. It was 600 euro so I did not buy it. I settle for 3 caganers standing on top of one another. The catalans are wonderful people and I accepted their culture easily. Can’t wait to go back to Barcelona and if I do, I bringing home that nativity scene. 600 euros for a nativity scene is something! I know! Kind of a dark curiosity about this, but still funny! I guess they talk about it more openly because it’s a natural thing to do! That pooping man thing is such a funny tradition. I heard there is one of Obama as well. And The Pope, can you imagine? Weird indeed! 🙂 I’ve been to BCN a few times, but never heard about this tradition. Does it only come alive at X-mass? Yes Els, only in Christmas, although you can some find some caganers and cagatios in souvenir shops and so. OMG this is the most hilarious thing ever. Poop and christmas – how random. Heard a lot about the weird traditions around Barcelona – but thats what makes travelling so great. We spent Christmas in Colombia this year, and theres quite a lot of differences as well. Thanks! I have heard some things before getting here, but I didn’t know the scale of it. It is really a thing and a huge business! Any weird traditions in Colombia? Haha, this is too funny. A couple years ago my boyfriend at the time visited Barcelona right before the holidays and he sent me photos of these logs. I was so completely mystified as to WHY?!?! I’m glad I’m not the only one. Regardless, it sure makes me giggle! Hahaha – I’m so immature I fall for the scatological every time. Who knew this was a thing in Barcelona? Fun post! Gosh I thought I had come upon some weird traditions, BUT this just takes the poop! Sorry I mean, piss…maybe cake! How absolutely random and so funny.